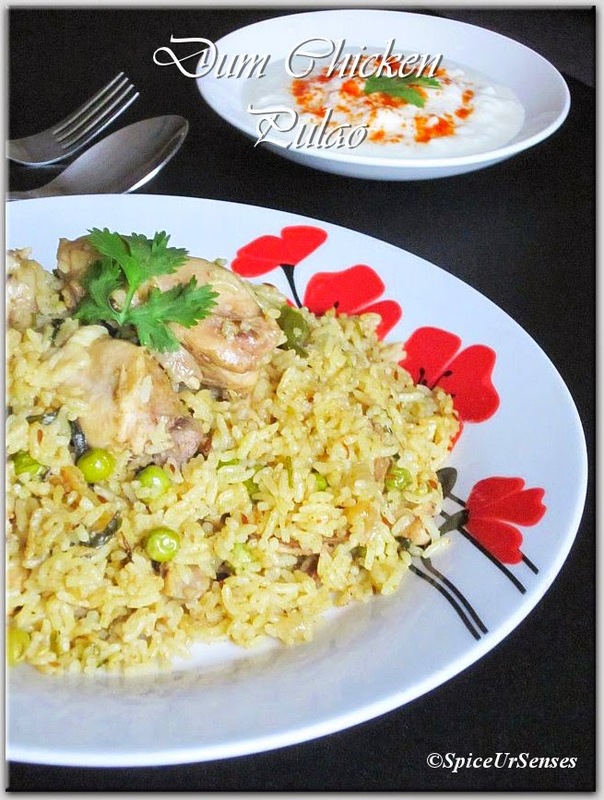 Chicken Dum Pulao/ Chicken Pulao. 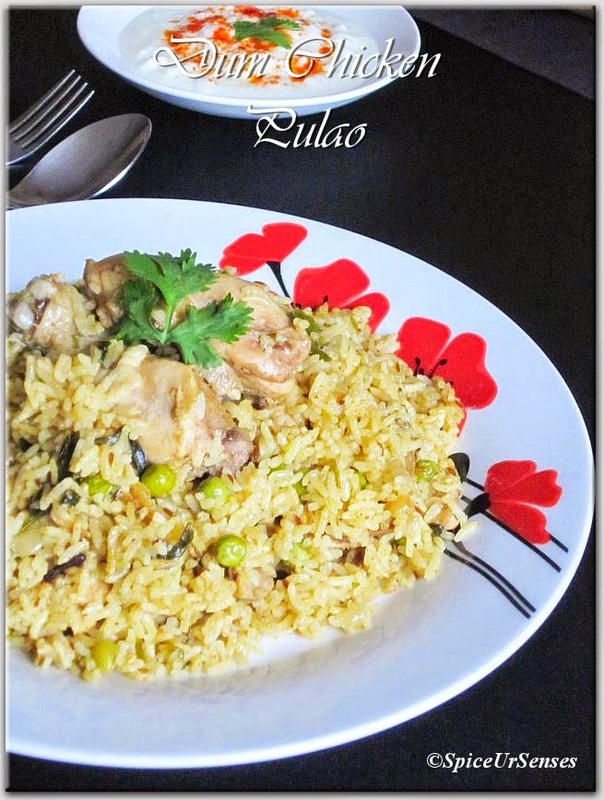 Chicken Dum Pulao. 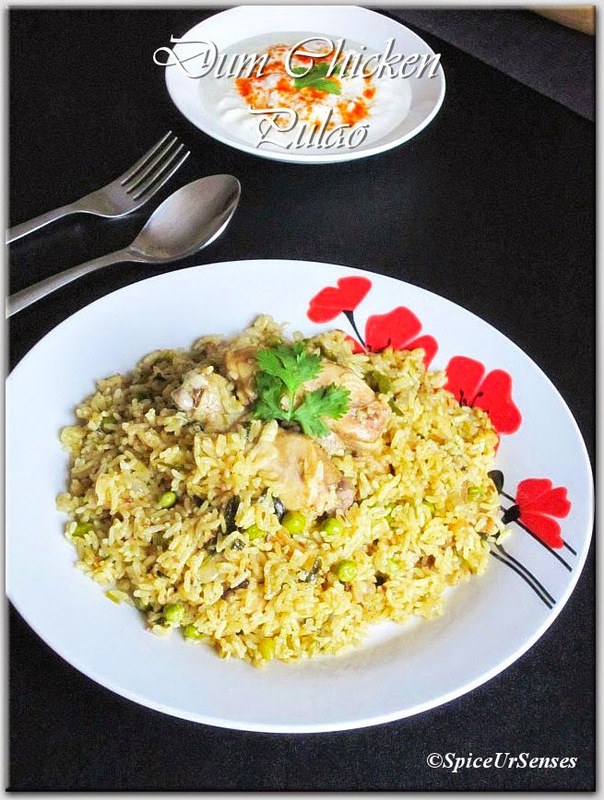 I cook chicken dum briyani very often and everybody loves it and this time for a change I cooked this pulao with very less ingredients and it tasted awesome like briyani only. This is very easy to cook dish and can be cooked as dum or even in pressure cooker too. Actually this pulao tastes better when it cooked 5 to 6 hours before and served with chilled onion raita..
Oil as per your requirment. Wash and soak the rice in enough water for 20 to 30 minutes. Heat the deep frying pan add oil, when oil is hot, add shah jeera, bay leaves, cinnamon, green cardamom, cloves, star anise and leave till it become's brown. Then add onion, ginger garlic paste fry for till the onion becomes lite golden brown, then add chicken, turmeric, and salt, fry it till the chicken starts leaving oil. After that add coriander powder and garam masala, give a quick stir, then add curd, lemon, green chilly, green peas and mix well, then add 2tbsp of mint and coriander leafs and mix it well. Half boil the rice in a seprate pan. add water in to rice as per it required's. drain the water from rice and then add the half boiled rice into the chicken pan and give gentle stir. Then sprinkle from top left over mint and coriander leafs. (you can make as layers also like dum briyani , but I have made it together like pulao). Cover the lid and cook till the rice is completely cooked in a medium flame. Serve hot hot with Raita. I wish I could grab that plate and have it right now... delicious! 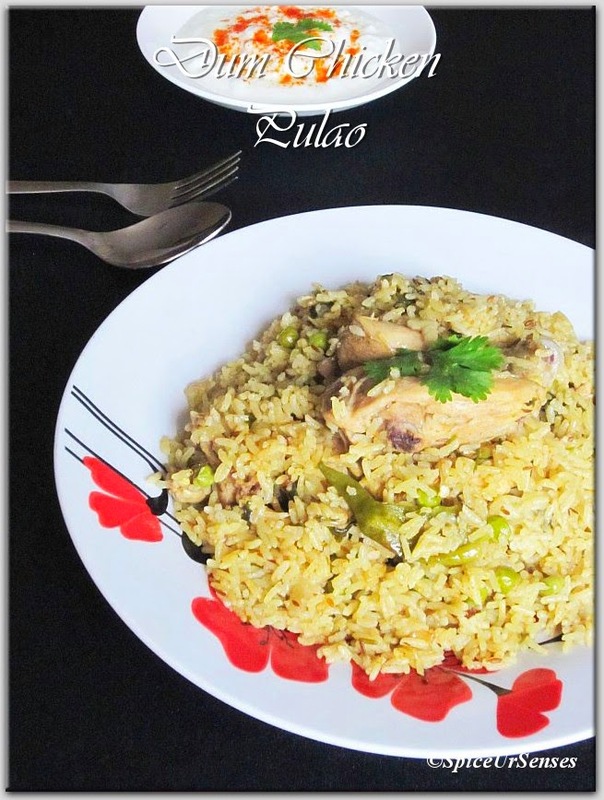 A simple and very tasty rice dish!